Newegg is participating in events in Asia that it says underscores its commitment to fostering “cross-border ecommerce development of emerging sellers.” Or, as it also said, it’s helping Asian companies reach shoppers in the US and Europe. Newegg also has a deal with eBay China to help streamline exports with the help of Newegg’s US warehouses. Newegg Logistics is helping eBay sellers in China to fulfill last-mile delivery for the retail export products that are shipped from China, including providing warehouse services to them in the United States. 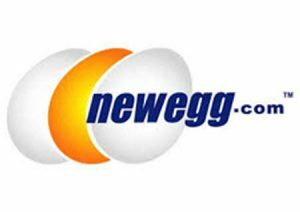 Newegg – the leading tech-focused e-retailer in North America –announced its upcoming participation in a pair of E-commerce events in Asia. The GREAT Festival of Innovation takes place in Hong Kong March 21 through 24, and Newegg’s Global Seller Summit Asia takes place March 27 in Hangzhou. With more than 36 million customers, Newegg is entrenched in North America and quickly growing its global footprint to serve customers in more than 50 countries. The company offers a mature sales channel and established logistics infrastructure to marketplace sellers that want to expand internationally. The upcoming events in Hong Kong and Hangzhou will give Asian sellers the opportunity to learn how Newegg’s marketplace can help them sell cross-border and reach new customers in Europe and North America. As a key sponsor of The GREAT Festival of Innovation, Newegg will help bring together established and emerging e-commerce companies that aspire to operate throughout the UK, Hong Kong and other parts of Asia. Festival participants will discuss innovations driving the future of free trade and discover a world of innovation during the four-day event. At 5 p.m. on Thursday, March 22, Newegg will host an evening reception at The Roof Garden – Asia Society (9 Justice Drive, Admiralty, Hong Kong). Email mkplglobal@newegg.com to request an invitation. On March 27, Newegg Global Seller Summit Asia will bring together leading e-commerce experts, solution providers and sellers at the Hangzhou JW Marriott Hotel. The event will equip merchants with the knowledge and tools necessary to expand their businesses throughout North America and Europe. The Summit will feature keynote sessions, panel discussions and one-on-one time with Newegg representatives to learn how to leverage the company’s global network to grow their businesses internationally. To learn more and register for the Newegg Global Seller Summit Asia, visit http://newegg2018-tcpromoteeventhref.eventdove.com. In 2017, Newegg expanded its global network to more than 50 countries in key parts of Asia and Europe. The company is steadily building on this expansion with localized customer support, increased payment options and delivery flexibility to support growing customer demand. In addition to these customer-facing improvements, Newegg is hosting regional seller events to onboard new vendors to the Newegg platform. Newegg Global Seller Summit Asia is the first of these regional events, followed by the Newegg Global Seller Summit Europe in London on June 14. Visit https://www.newegg.com/sellers/index.php/seller-summit-main-landing/ to learn more about Newegg’s upcoming Global Seller Summits. For general information about selling on Newegg’s Marketplace, visit https://www.newegg.com/sellers/. Oh how nice…..Another company helping the asians ship to the us….To bad those of us in the us don’t get any help, not even from the USPS.